Marketing and advertising techniques on social networks, also known as social ads, are becoming a common trend among companies from all sectors. And it could not be any different, because users are spending more time on social networks, making these platforms an ideal place for marketers and entrepreneurs to advertise their products or services. Although Instagram and Facebook Ads are increasingly being used by companies of all sizes, there are still many people who don’t know all the options that Instagram offers in regards to paid ads. What types of ads can we create in Instagram and which resources do we need to know to create them? 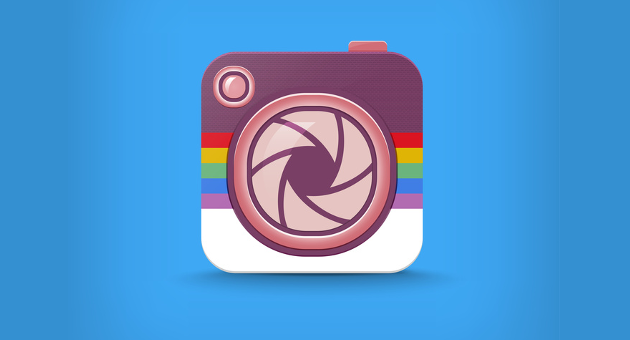 How much does it cost to advertise on Instagram and what is the payment methods? 1 How to create ads on Instagram and why should we use this option? 2 How much does it cost to advertise on Instagram? How to create ads on Instagram and why should we use this option? Currently, this social network is booming, with a large number of users migrating daily from other older platforms, because the essence of Instagram is its young audience, and the way content is shared; the emotional power of the images causes more and more people to create profiles on Instagram and stop using other social networks. Therefore, you should always try to create ads using audiovisual contente optimized for this audience. Zuckerberg’s team knows the importance of being able to share images and videos, so there is a wide range of options for creating attractive ads on Instagram. Through the Instagram Business platform. Using the Facebook Ads Manager. Each of these options has its own advantages and disadvantages, based on certain specific characteristics of advertising on Instagram. In addition to knowing how you can create ads on Instagram, it is even more critical that you understand all the advantages of all the available options, because only then can you achieve your goals. If you are thinking about creating your first campaign, I would recommend you go directly to the ad manager available on Facebook, because you will find all the necessary information for working with ads on both platforms. 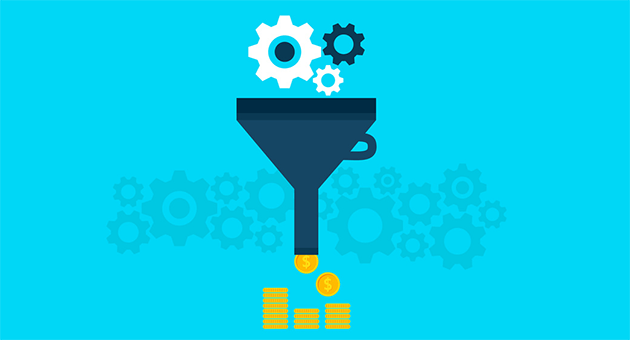 Although it may cost a bit of money, once you’ve already created some test campaigns targeting your ideal audience using this tool, you will end up feeling very comfortable with its use. It allows you to boost brand recognition among usersof your target audience. However, with the last algorithm change, this option only works well for static content. Videos with more than 3 seconds will not be as effective because Facebook would recommend selecting the video display as the goal of the campaign. This option can be used to improve engagement, to increase traffic,the number of interactions, app downloads, video display or messages. Each company can select its specific goal and set the ads for this goal. Also, this type of campaign allows you to create na A/B test to test the most effective alternative. 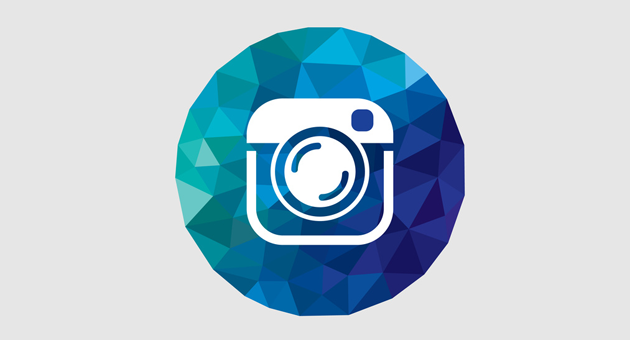 The last of the three campaign types you can create in Instagram is the recommended option for conversions, sales of catalog or visits to your business. It is usually a campaign type that should only be used when you know very well who is your target audience as well as who will be susceptible to this type of actions. In the next window, under “ad set” in “edit locations” you can choose if you want to show your ads on Instagram or other platforms. 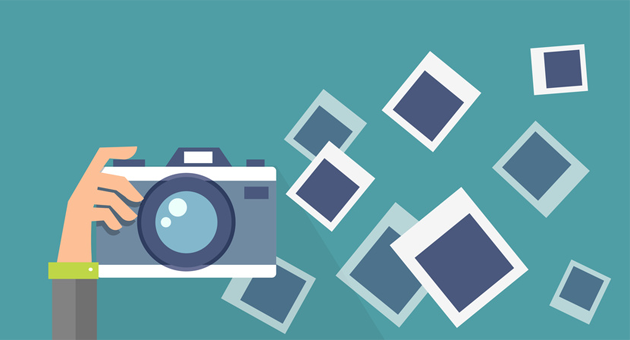 In addition to knowing the types of campaigns you can create, there are other relevant aspects you should consider, such as the technical limitations, especially before launching your ads with videos or images. Aspect Ratio: On Instagram, you can use different proportions to display the images. You can work with images in 1:1, 4:5 and 9:16. Format: Images must be submitted in jpg or png format. Size: Files should never exceed 30MB per image. Minimum width: 500 pixels (the height depends on the ratio used, although my recommendation is 1: 1). For videos, you will have to work with different requirements. For example, in this case, it is not recommended to use more than 20% of the screen with text, especially if the videos will be displayed on Instagram Stories. In the news section: The recommended ratio is 1:91 or 4: 5. In Instagram Stories: The ratio here can only be 9:16. We also recommend that you create videos that users can understand without audio. That doesn’t mean that you can’t include sound, you should actually add audio in your messages whenever possible, but it should be understood with or without sound, as many users won’t have sound enabled on their devices. If users can understand your videos without sound, even when the volume of the device is turned off; they will be able to understand the message that you are trying to convey. Another aspect that raises many questions among companies that are thinking about getting started with this type of action is how much they will have to spend to launch a paid ad campaign. 1.- You can limit the budget of each campaign by editing the details of the campaign. This way, you will tell the system you never want to spend more than the maximum you set for each ad. 2.- On the other hand, you can limit how much an account can spend editing the payment and billing settings. This way, an account will never spend more than the maximum set among all active campaigns. Limiting this aspect is very important for launching ads on IG, so that your project doesn’t get out of control, because in the end, you would have to pay much more than you had planned. 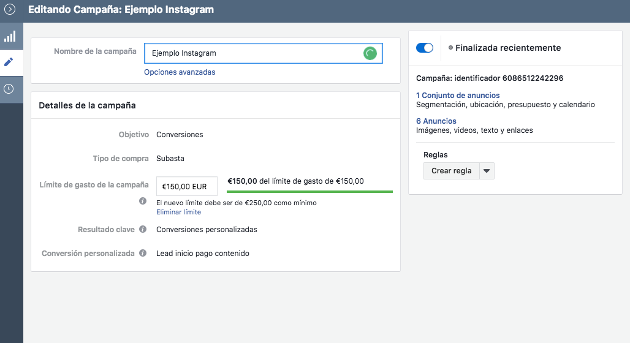 All invoices generated by Instagram are issued by Facebook since that is the company that manages all these platforms. Therefore, the rules related to currency and taxes are the same no matter if you are advertising on Instagram or Facebook. 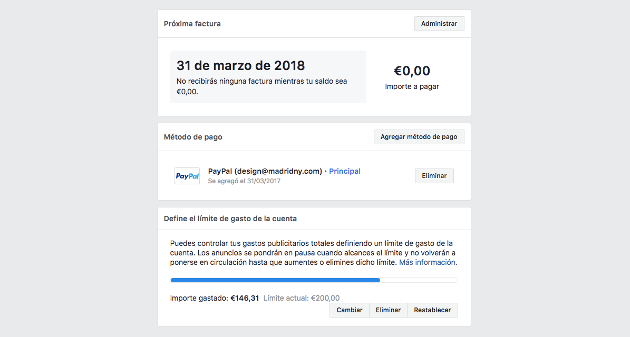 Facebook tries to give all possibilities to advertisers, so besides accepting virtually all types of currency, there is also an option to change the payment type as soon as the account is confirmed (except in Brazil, Nigeria, and Venezuela). The exchange rates are based on the original currency, and there are many options for paying the required taxes. As the prices will vary, depending on your country, we recommend checking online on Facebook to see how much you will have to spend before you start working with these paid ads. Facebook accepts all the major payment options, such as credit or debit cards, PayPal, as well as other payment options depending on your location. The most popular option is the payment through PayPal, since this tool converts values between currencies automatically, in addition to not charging a very high exchange rate. Taking advantage of promotions you will get online or on facebook mail. Through promotions launched by companies associated with Facebook on their websites or newsletters. Through the billing setup, you can enable these coupons so you will start spending that credit and won’t be charged using your usual payment method until you spent the free credits you received. It is essential to pay attention and observe the maximum deadline to spend the credits of the coupons, since they all have a deadline and you will not be able to use them after the expiration date. After seeing everything related to the payment of the ads, we can focus on talking about how much these advertising campaigns will cost. In fact, this question doesn’t have a clear answer. In practice, you can spend as much as you want, or as much as you can. However, Facebook offers options to limit costs per campaign or account, so you’ll determine how much to spend on each ad. Once you’ve set your goals, you can configure and optimize your ad. 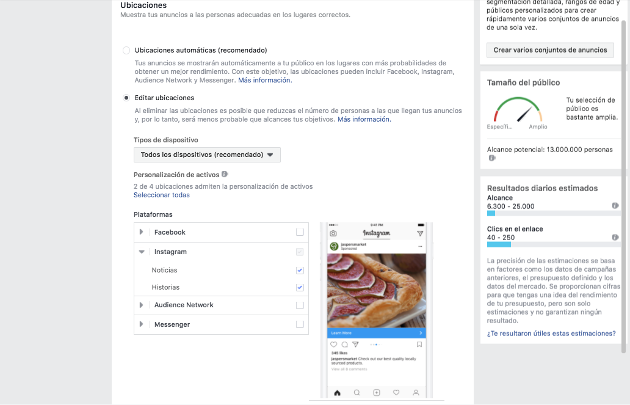 Facebook and Instagram Ads will recommend the best bid based in the campaign goal you chose, although you can modify it if prefer. Standard. Showing ads regularly the during the established timeframe. Accelerated. Showing the ads as fast as possible. If it is automatic, Facebook decides the amount you will pay for the action based on your budget, your goal, and the competition. If you decide that the bid will be manual, the maximum price will be chosen by you. In this case, you will have to be very careful and don’t forget to always check the information to adjust the bids to your budget. Advertising on Instagram is a good option for promoting your brand and reach a specific audience. In this sense, Facebook Ads Ad Manager and Instagram Business will offer you many options. Also, it should be noted that it is not very difficult to start to advertise on Instagram. However, to create good campaigns and to make your investment profitable, you should always update and analyze the ads to make the necessary adjustments. For starters, relying on recommendations is very useful, and often this information can be used for planning a new strategy. However, if you want to succeed, you will have to start trying new things, to tailor the ads to your specific needs. Do you usually advertise on Instagram? Do you personalize your ads or do you just follow all the actions recommended by Facebook?